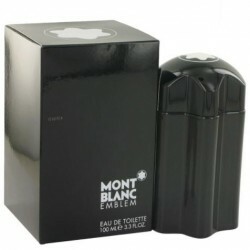 Montblanc Emblem Cologne by Mont Blanc, Spray on a bit of emblem by mont blanc before a dinner date, on the way to the movies or after a long workout . This revitalizing men's fragrance has the perfect blend of ozonic and aquatic accords. It features notes of clary sage, grapefruit, cardamom, cinnamon and frozen violet leaf and hovers close to the skin from morning until late afternoon. Introduced in 2014, this fragrance is ideal for men who like sporty, fresh scents. All products are original, authentic name brands. We do not sell knockoffs or imitations.